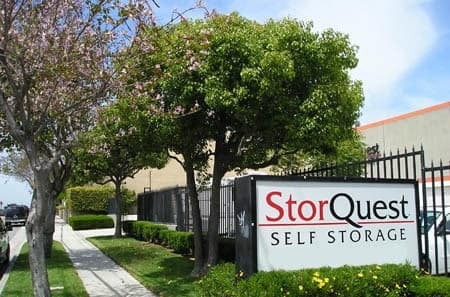 Small, medium, and large storage units are available for rent at StorQuest Self Storage in Torrance, CA. We offer storage lockers that vary in size from 5X5 (25 sq. ft.) to 10X20 (200 sq. ft.). Spaces are available for you to store anything from small boxes of personal items to the contents of an entire home. These larger units are also ideal for commercial and business storage. We provide a home for your back-stock inventory, tools, paperwork, restaurant equipment, and more. Many of the storage lockers at StorQuest Self Storage offer drive-up access. Each of our units is equipped with either a roll-up or swing door. Swing door units may be accessed from the interior of our building. Our storage units are available on a month-to-month basis. As a bonus for our long-term renters, we offer a long-term storage discount. Ask in the leasing office for more information.